Robert Indiana is a contemporary American artist whose work draws inspiration from the typography found on signs, billboards, and commercial logos. 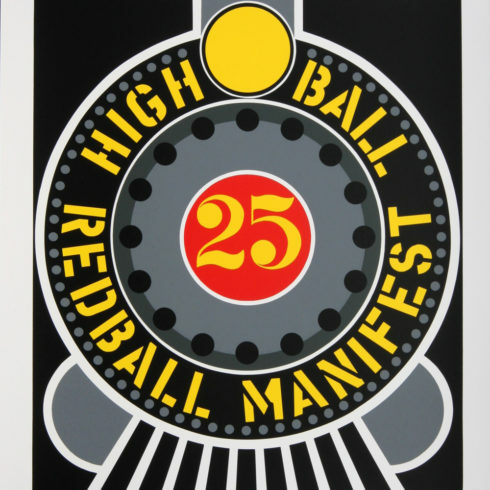 He is best known for his series of LOVE paintings, which are characterized by their bold and colorful letterforms. 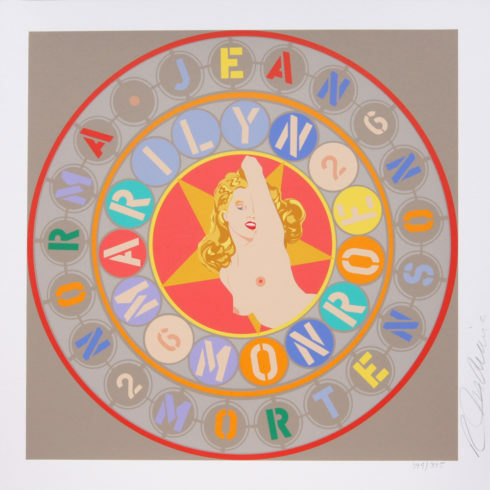 Our Fine Art Gallery has the finest quality Robert Indiana original prints, screenprints, and serigraphs. We have a large inventory available off-site and we encourage you to make an appointment to see specific works you are looking to collect. We are happy to meet you at either our art gallery showroom or at your home or office for a private presentation. Artist Robert Indiana (born Robert Clark) was born in New Castle, Indiana on September 13, 1928. Robert Indiana adopted the name of his native state as a pseudonymous surname early in his art career. In 1953, Robert Indiana received a degree form the School of the Art Institute of Chicago and in 1954, attended the Edinburgh College of Art in Scotland. Robert Indiana moved to New York in 1956, where Indiana became associated with the Pop Art movement and began to paint in a geometric, hardedge style, blending commercial art and existentialism which Robert Indiana termed ‘sculptural poems’. In 1962, Robert Indiana had his first New York solo art exhibition at Eleanor Ward’s Stable Gallery. With this art exhibition Robert Indiana began a long career of showcasing his art in over 30 museums and galleries. In 1964, Robert Indiana worked with artist Andy Warhol, creating ‘Eat’ a 45-minute film of Indiana eating a mushroom in his New York loft. The art of Robert Indiana often consists of bold, simple, iconic images, especially numbers and short words like EAT, HUG, and, Indiana’s best known example, LOVE. Steeped in his Midwestern roots, Robert Indiana has taken the everyday symbols and verbiage of roadside America and made them into boldly colored art. Robert Indiana has been an ironic commentator on the American scene as his art has made cultural statements on life and, during the rebellious 1960s, pointed political statements as well. Robert Indiana is most well known for his iconic LOVE art works. Robert Indiana originally created LOVE in 1964 as a Christmas card design for the Museum of Modern Art. In 1973 Indiana’s LOVE was reproduced by the United States Postal Service as a postage stamp. LOVE sold more than 325 million units making it the most popular stamp ever issued. Robert Indiana was paid $1000 by the US Postal Service. In 1977 Robert Indiana created a Hebrew version of LOVE with the four letter word Ahava (???? “love” in Hebrew) using Cor-ten steel, for the Israel Museum Art Garden in Jerusalem, Israel. Robert Indiana has lived and worked in Vinalhaven, Maine since 1978.